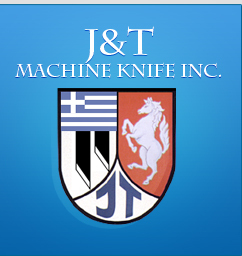 J&T Machine Knife Inc. is a manufacturer of Industrial Machine Knives, Slide Ways, Shear Blades, Guillotine Blades, Shear Knives, Guillotine Shear Blades, and Food Processing Knives. We also make Stainless Steel Circular Slitters, Slitter Knives, Scraper Blades, Circular Knives, Linear Tracks, Cane Knives, Mill Blades, Scrap Blades, Robots, and Robot Guide Ways. In addition, we make Long Knives, 180"
Surface grinding is grinding metal or wood that has a rough surface. It can be the edge of metal or the flat surface. Hence, surface grinding. A hand grinder can be used or a full blown huge table grinder, depending on the size of metal or wood being ground. After the surface is grinded, then it would go to be fine sanded and polished for the finished piece. They use surface grinding mostly on large objects, but it can be used for the surface of small objects, as well. Of course, the surface may need some abrasive material added to make the grinding coarser. It depends on the type of material. Depending on the material, you need a grinding wheel that is high abrasive and it has cutting niches in it. If you’re using it for wood, you would need a less abrasive grinder wheel. A planer type grinder is stationary and the tabletop moves back and forth. It may or may not be manually controlled. If not manual, then a hydraulic drive system is normally used connected to a computer. They are normally used on parts made at another factory and sent to a factory that finishes them off. It’s usually found in an industrial factory. A rotary type grinder goes in a circular motion on the worktable. They are used before parts are fitted into a housing. This tool is the safest way to prevent accidents. A hand help grinder is just that – held in the hand to grind a surface. They are mostly used by machinist, carpenters, and others who have a need to grind down a surface. This type of surface grinding is the most dangerous due to debris flying around when grinding. Most people use safety goggle when they use them to prevent injury. However, there are many who just grab the grinder and start grinding without taking any precautions. They always end up with something in their eye. When the surface has been ground to the desired smoothness, the material, whether it’s metal or wood, is cleaned of debris and wiped down. It’s then a matter of sending it to be polished or fine sanded, then on to polishing or varnishing. The surround area is clean up of fine dust parts or metal or wood shavings to prevent flying debris of the next item to have a surface grinding. There are many types of grinding machines that can be used for finishing a product. They can be used on any surface such as the edges or the flat surface. Depending on the product, most parts need to be grinded, so they will fit the product they are designed to work with. You can use any of them to surface grind, but most of them are for a specific type of grinding. For example: a bench grinder may be used as a lathe tool for creating table legs. Technical it’s surface grinding, since it takes the top surface from the wood or metal to shape the table leg. It also leaves a rougher surface, which then needs to be fine sanded. You will need the right tool for the material used such as a gear cutter is used for metal plastic, and wood, but a belt grinder would only be used for metal. You can also use a bench grinder for aluminum and other soft material. Be sure to check the type of grinder with the material before purchasing. You may end up with a metal grinder to use on the wood you want to use. The results will not be pretty. The last thing you have to decide is do you want a hand held or table machine. Both work well for either type of surfaces you need to grind. Most industrial equipment is built to the specification of the company and the type of parts they are building. If you don’t want to deal with the amount of knowledge needed for surface grinding, then a machinist will do it for you. Design and marketing by ICM Consulting Corp.